Insulation contractors need to be highly experienced, knowledgeable professionals to make sure that your home is properly insulated for maximum energy efficiency. If you’re trying to find a team you can depend on to replace the insulation in your Lexington, Kentucky, home, turn to 31-W Insulation. We never subcontract any workers, so you can trust that they’ll be held to our own high standards of fast, reliable service without ever cutting any corners. Also, our commitment to providing excellent customer service and satisfaction has helped us consistently earn an A+ rating with the Better Business Bureau. Of course, our insulation contractors would never use any half-rate products when working to make sure your home is properly insulated. That’s why we only use offerings from the most trusted brands in the industry, like Owens Corning® and CertainTeed. 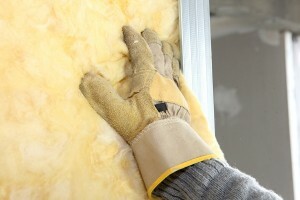 That way, not only are you receiving top-quality workmanship in your home, but also top-of-the-line insulation. If you live in Lexington or elsewhere in Kentucky and would to learn more about having insulation installed by our contractors, contact 31-W Insulation today for a free in-home estimate.